Making a strong case for rate cut by RBI later this month, Finance Minister Arun Jaitley on Sunday said monetary policy plays an important role in stimulating growth and is hopeful that it will appropriately act with a sense of responsibility on this front. RBI Governor Raghuram Rajan is scheduled to announce his next monetary policy review on September 29. While he has announced three rate cuts of 0.25 per cent each so far in 2015, the industry has been pitching for further reductions to lower the cost of capital for stimulating growth. Now, as somebody who wants India's economy to grow and who wants domestic demand to grow, I will want the rates to come down. 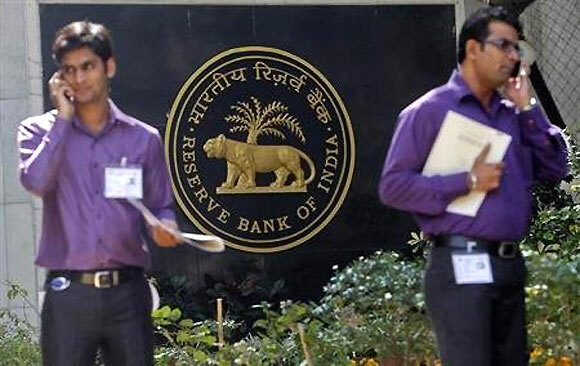 "But then, having entrusted RBI with this responsibility, I am sure they are certainly very well informed of the developments taking place within and outside the country. RBI will appropriately act with a sense of responsibility." "I am certain that RBI, along with the Governor and all his colleagues, will come to a very balanced decision on this matter," he added. Jaitley, who is here to meet foreign investors on the second leg of his four-day visit to Singapore and Hong Kong, also said monetary policy has a key role to play in stimulating growth. "Obviously, it does... particularly because we have fixed a monetary policy target in India and we are well within that target at the moment and therefore, RBI will take note of that," Jaitley said in his media interactions here. "There are sectors which are impacted. Real estate, for example, can give a big push to India's growth and this is a sector which is impacted by high policy rates. Therefore, if the policy rates come down over the next year or so, certainly this is one sector which has a huge potential to grow," he said. Why does a rate cut matter?